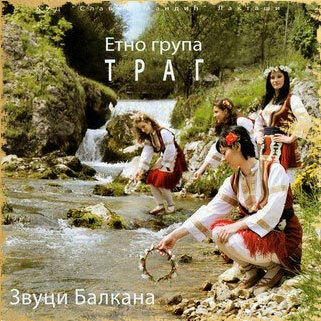 They finished their debut album “Zvuci Balkana” in May 2008. There are 15 songs on the album from the region of Bosnia and Herzegovina, Serbia, Montenegro, Macedonia and Bulgaria. Special place at the album takes music from Lijevce polje, less familiar to the audience, because the folk music of this region was explored and recorded only since year 2007. They worked several months on the album. Goran Cetojevic is credited for the arrangements, Valentina Milekic for the vocal arrangements, but the other members have given their personal contribution as well. It was produced and mixed by Ninoslav Dobrijevic – Tiki and Dragan Bosnjak – Bole. Cover photographs were taken by Vladimir Milakovic. Design was done by Valentina Milekic and a technical editor was Dragan Grahovac. The album was recorded in two studios: “Digital Boyler” and “Studio 4” in Banjaluka. You can download this album in mp3 format on your computer. After completed transaction (using PayPal or credit card) on your e-mail address you’ll receive a link for download. I have not received the email with download link? Please also check your ‘Spam’ folder or ‘Junk email’ folder to make sure that our message has not been filtered out. If you have still not received this email please send us email to etnogrupatrag@gmail.com and we will resolve problem.